Knead soft dough. Roll at 0,5 сm thick. Cut off circles and put 1 tbsp of stuffing on one half, cover with second part. Grease with yolk. Bake at 200 C for 20-25 min. Sprinkle cooled patties with sugar powder. 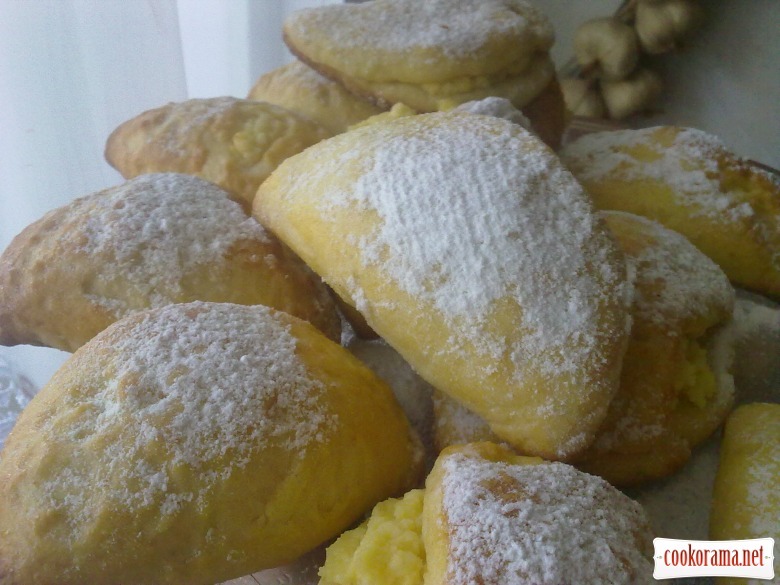 Top of recipe "Curd patties"